This package will set you back KSH. 1,299 a month for 43 channels. 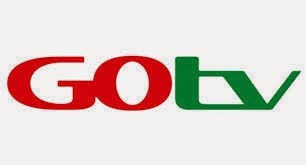 GOTV Plus will now cost you Ksh. 699 from the previous amount of 850 Kenyan Shillings. GOTV LIte is the Free to air package and attracts an monthly subscription of Ksh. 160. Previously, it was Ksh. 1,800 annually. So there you have it. If you paid using the old rates and are now experiencing the E-16 error, then you know what the issue is. Just top up the balance and your account will be reset. Remember to always have the decoder on when making the payment for an automatic reset. If that fails, just dial *423# and follow the prompts. You can pay for these packages via USSD, Mpesa, Airtel Money or Even equitel. See the GOTV Paybill numbers in this post. very creative photos, i like the outdoor theme other than the common studio photos. You are chasing us (me) away from GOTV community, remember that we were told on purchase and payment of 1200, we get free to air, now that we did the purchase all changed, now we are being requested to pay monthly, is it right that all is changed and denied our right to get the promise?? Can the customers still stay and be stressed by the now and then changes??? As for me am quiting after if any change happens……. These guys disconnected my FTA services without my consent, gotv whatssup? You said October will be on you and now you are charging us… why lie to your customers? Can we be charged as per the times you only watch and when you don't your balance not deducted.This will help the common mwananchi because most of time we are out working,school etc.The style of phones and credit cards.My take. what are the new rates you have? Am mike I bought the settled for my mum n she have been complaining paying GOTV LITE for KSH 560 for (3)Months n their are the service for less than three month am feed up by GOTV. hi i bought my Gotv decorder from a friend how do i change the ownership identity please? i bought my Gotv decorder from a friend please how do i change the names of ownership? Why must you keep repeating same movies on channel 9 yet there are thousands of Nigerian movies. Kindly stop repeating old fashioned movies you always display on channel 9. Humble request though….. It's becoming too much!!!!! our Kenya economy graphs is still going up on the sky that we cannot afford to pay for watching Tv. We better do away with Gotvs decoder and remain analogue than struggling paying for what we don't eat.